With Memorial Day behind us, bathing suit season is officially here (yipes!) and this Wheatberry Salad with Cranberries, Feta and Orange Citronette is a healthy and delicious option to help you stay swimsuit-ready! This salad is filling and full of great, fresh flavors. 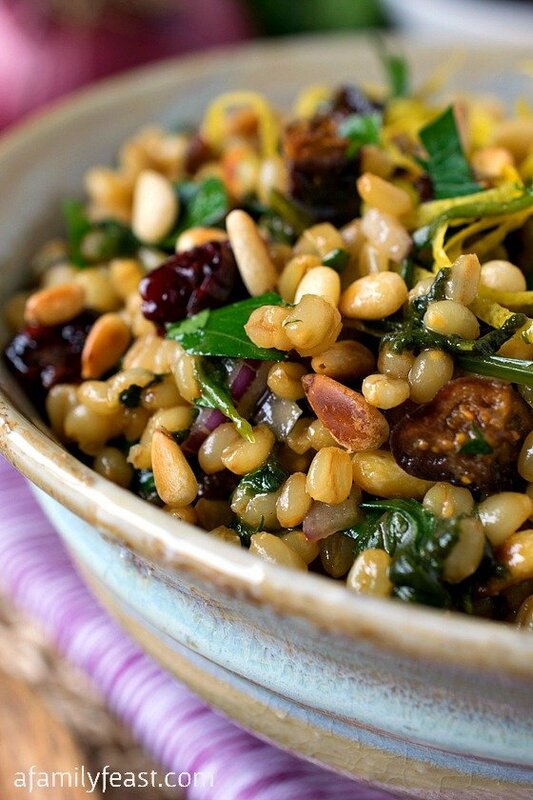 The wheatberries are really hearty with a chewy texture and a wonderful, nutty flavor. And the combination of sweet-tart cranberries, creamy but briny feta, salty pistachios and peppery arugula are a great complement to the wheatberries. 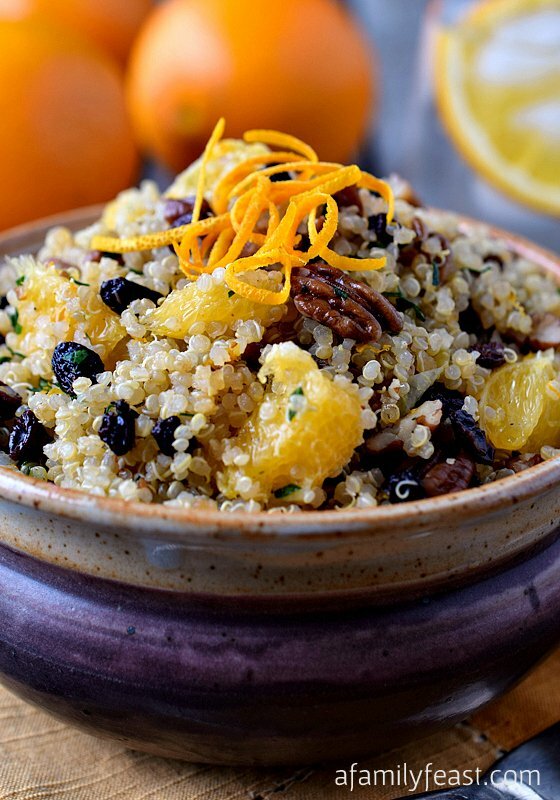 But the sweet, bright orange citronette is really what brings the flavors of this salad together! I’ll admit – writing a food blog is making it very difficult to stay on my diet! But dishes like this wheatberry salad with cranberries, feta and orange citronette satisfy my tastebuds, as well as my wish to eat healthy and light. This recipe was adapted from one that was originally published here. As noted in the original recipe, salad dressings are typically a ratio of 1 part vinegar (an acid) to 3 parts oil, but since this recipe uses orange juice as the acid rather than vinegar, and the orange juice is sweet, the ratio of acid to oil can be varied. You can adjust the amount of oil up or down based on your personal tastes. Cooking times above do not include time to cook the wheatberries. Cook the wheatberries according to your package instructions. While the wheatberries are cooking, prepare the orange citronette. In a large bowl, combine the orange zest and orange juice. While whisking, slowly drizzle in the olive oil until you have about a 50/50 mix of orange juice to olive oil. 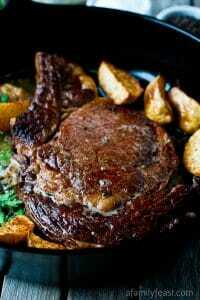 Taste the dressing and adjust the amount of oil if desired. Add salt and pepper to taste. Add the warm wheatberries to the citronette and stir to combine. Allow the mixture to cool to room temperature. I think I’ve gained about 10 lb just from food blogging! Glad I found this salad though – I need to start slimming down for summer! Thanks Heather! Luckily my husband likes these types of dishes…my daughter – not so much! Maybe some day! This salad was so delicious! Thanks for sharing. This is a delicious looking salad!